VERY NICE AND COZY SINGLE STORY HOME ON A CORNER LOT WITH RV PARKING! CLOSE TO 95 FREEWAY AND SUMMERLIN PARKWAY. CLOSE TO A PARK, SHOPPING AND RESTAURANTS. NEW A/C, NEW EXTERIOR PAINT, LARGE COVERED PATIO W/ MULTIPLE CEILING FANS. 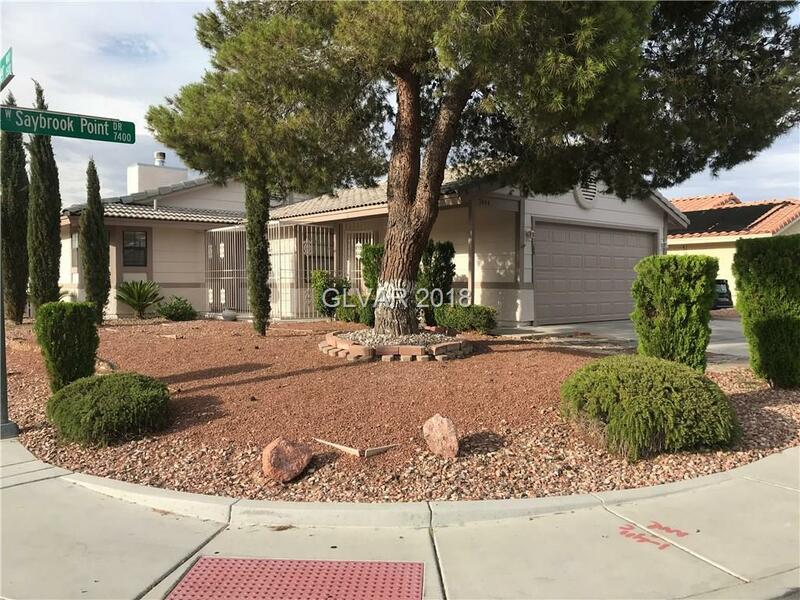 BEAUTIFUL DESERT LANDSCAPED YARD FRONT AND BACK WITH IRRIGATION. TOOL SHED IN BACK YARD FOR EXTRA STORAGE. MUST SEE, SCHEDULE AN APPOINTMENT BEFORE IT'S GONE!